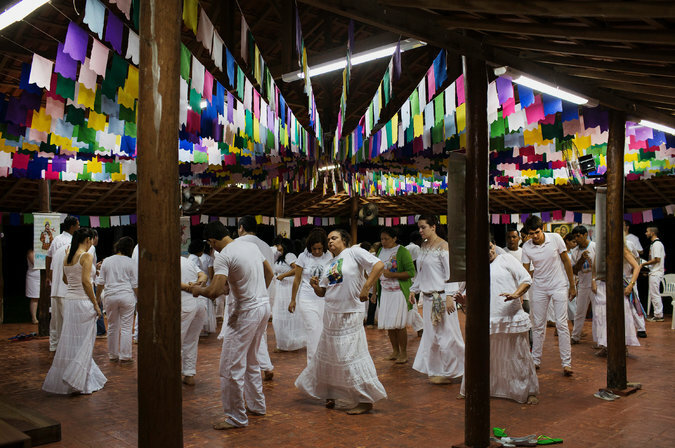 A Brazilian prison grants some inmates a brief furlough to attend services of the Santo Daime religion where they consume the psychedelic beverage ayahausca. According to this article in the New York Times, about 15 prisoners a month, including murderers and rapists, visit a temple in the rainforest along with therapists and prison guards who sometimes drink the Daime tea. This innovative program appealed to Brazilian authorities as a way to ease the burden on the nation’s overcrowded, underfunded, and violent prison system. The American penal system is a national nightmare and reform seems to be one area where conservatives and liberals can find common ground. We have our own Santo Daime churches. Perhaps they could help.